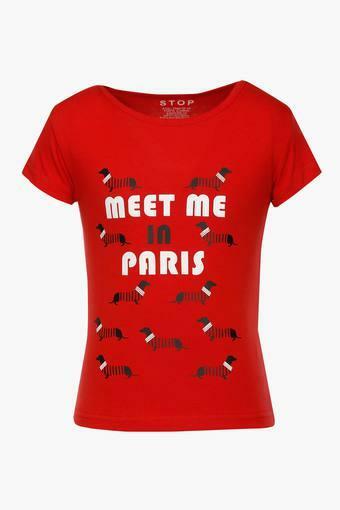 Help your little daughter to walk in style by making her wear this top from Stop. 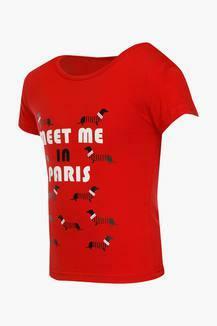 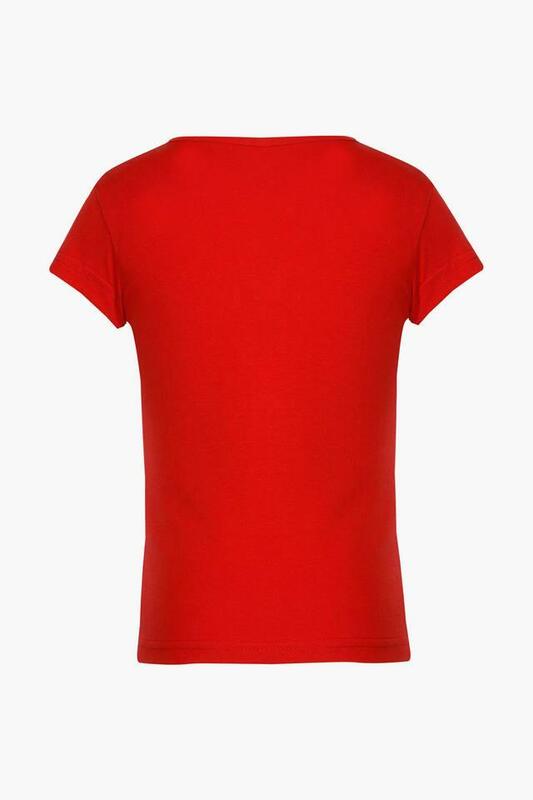 It comes with a round neck that lends it a smart look while the short sleeves further add to the design. Besides, it has a cute print, which is further accentuated by a trendy colour combination. Great for casual occasions, this top will look great on your little daughter. You can make her club it with a pair of shorts and slip on shoes to be the centre of attention.